Some things just can't be captured on the other pages of wouldn't make for a whole page of reading on their own. But I do want to share them with you, so they can be found on this page. 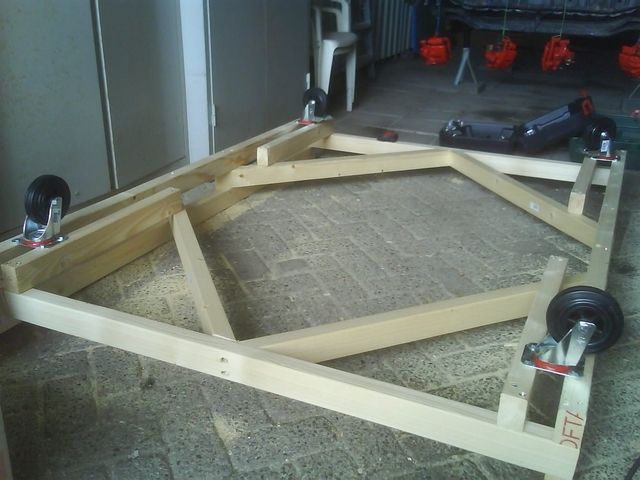 I made a dolly for the car so it could be moved around easily. I didn't have a welder yet and wanted it to be easy and cheap. So I made one out of wood. It only took me about 2 hours to make it and put the car on top of it. 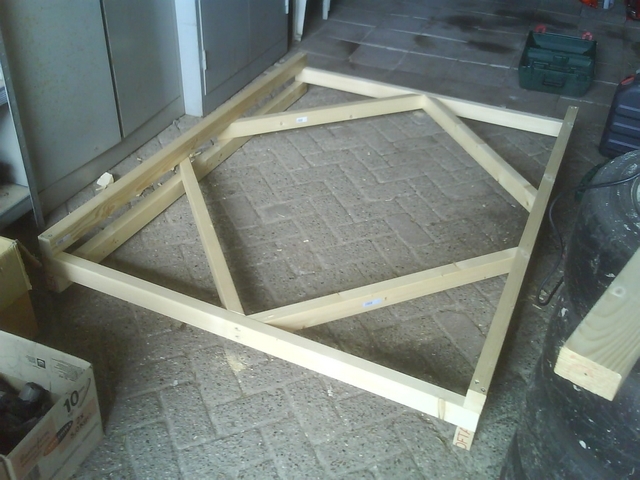 It's simple, but sturdy and easy to move around. 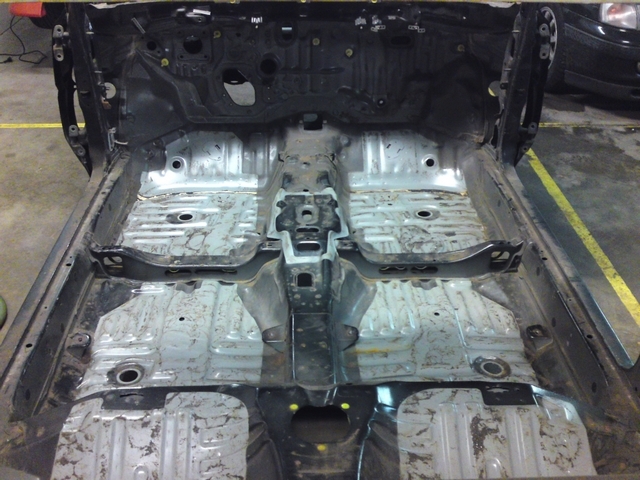 Not only did the car have some soundproofing on the underside of the body, but the inside of the car was covered in the stuff as well. I know that rust can hide itself underneath these bitumen plates and when left unchecked can cause a lot of problems later on. So I decided to remove them all to see what's underneath. Later on I would have to weld there too, so that would have been another reason for them to come out. All the soundproofing inside the car has been removed except the upper right one. 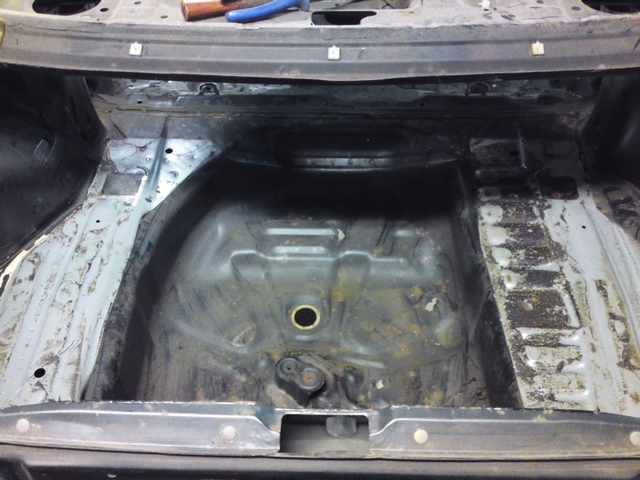 I removed the bitumen plates in the winter. I didn't really plan it like that, but the added bonus turned out to be the lower temperatures. The bitumen plates were a little hard and more brittle because of the colder wheather and that made them a lot easier to remove. If I would have done it in the summer, they would have been way more flexible and sticky and removing them then would have been a lot harder. Now I could just hack them away with a chisel and a hammer and they would just brake up in pieces and come loose from the metal body without damaging it. 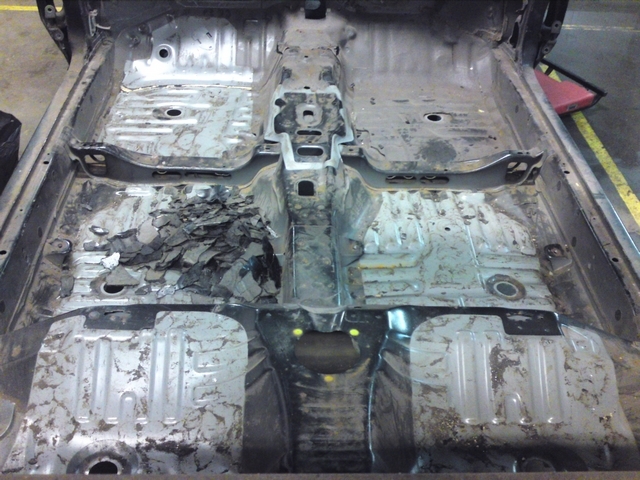 All the bitumen plates removed in the entire car. 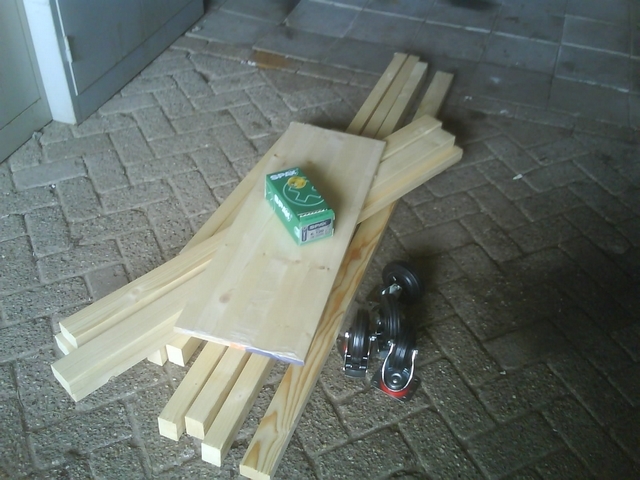 Although it will add some weight to the car again, I will place some new soundproofing material in the car to keep things a little more quiet and sound a little more solid. Another nice upgrade was flown in from Japan. 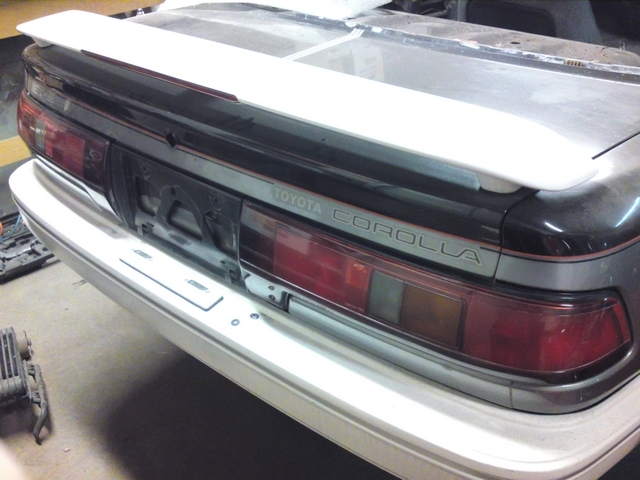 Almost all AE92 coupé models that were fitted with a spoiler had a 3rd brake light in there. 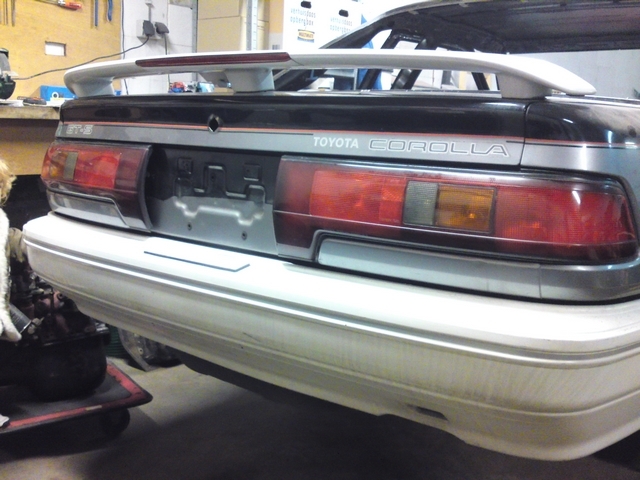 But with the USDM models and the zenki models, this 3rd light was located under the spoiler and was rather big. And like the rest of the lighting, it still had a little bulb in it. A 3rd braking light is already pretty nice for that period. Not many cars featured that yet. 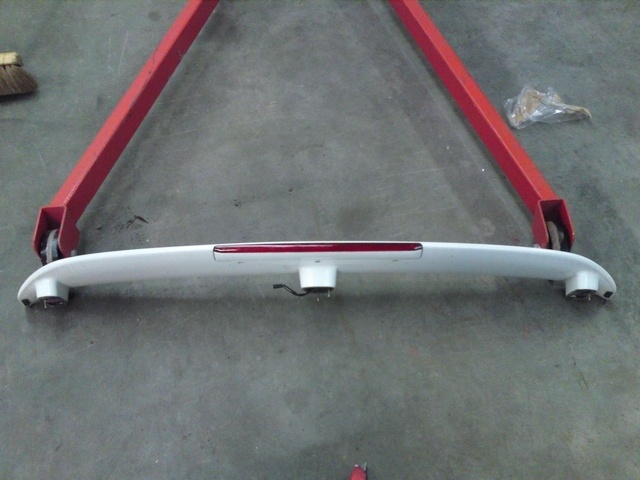 But then I found some pictures of a kouki rear spoiler where the 3rd brake light was a LED strip, integrated in the spoiler itself. That looked so much cleaner and better! I found one in Japan that I could buy at a nice price. Shipping was rather expensive but this was such an improvement over the old spoiler that I just had to have this on my car. 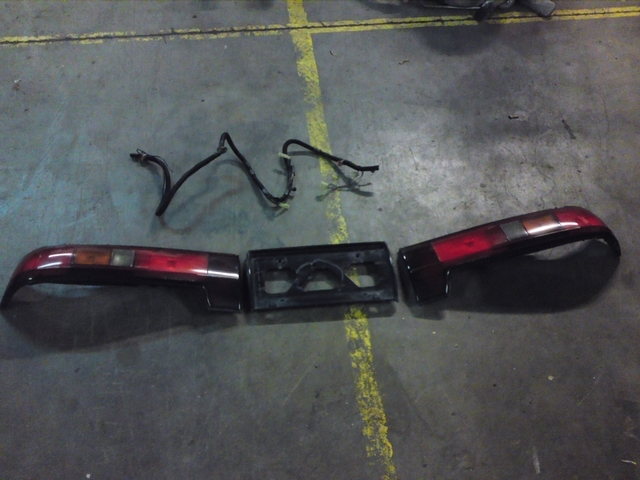 Because I was looking over all the lighting parts I also temporarily installed the rear light to see if there was anything that needed to be done to them. Hmmmm...There is some room for improvement there. I was never a fan of the big bulges on the sides of the licensplate for the licensplate lighting. The new rear bumper had lighting for the licensplate too, so that would be a bit much. And as can be seen in the picture above. The lights had some cracks in them as well. All very good reasons to start searching in Japan for something nicer and better. 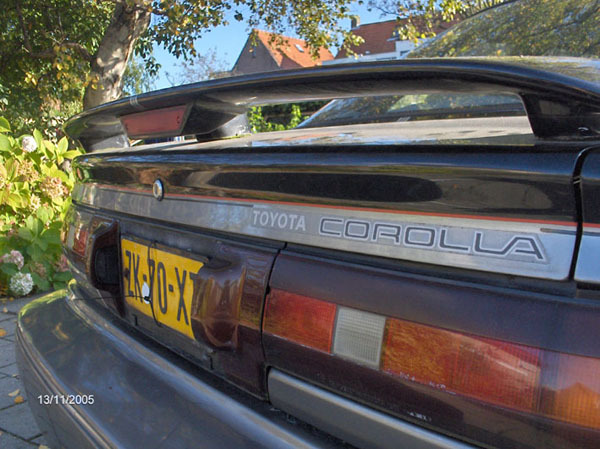 The Japanese Trueno's have the nicest rear end of all the AE92 coupé models. 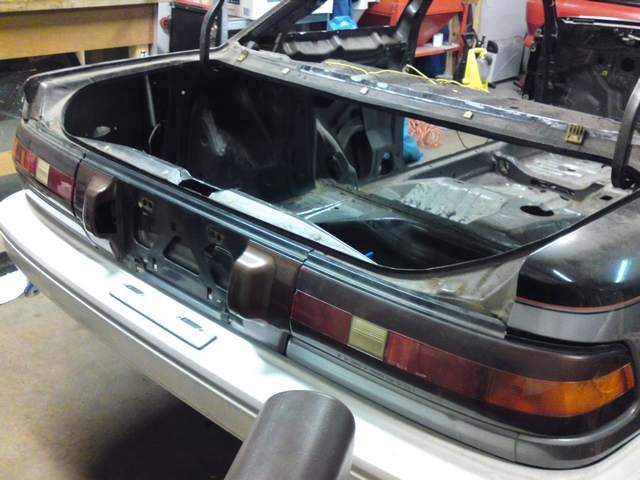 But their rear panel is different to that of my car and using those lights would require some serious welding. That would be a lot of work for some lights, so I looked at the other alternatives. 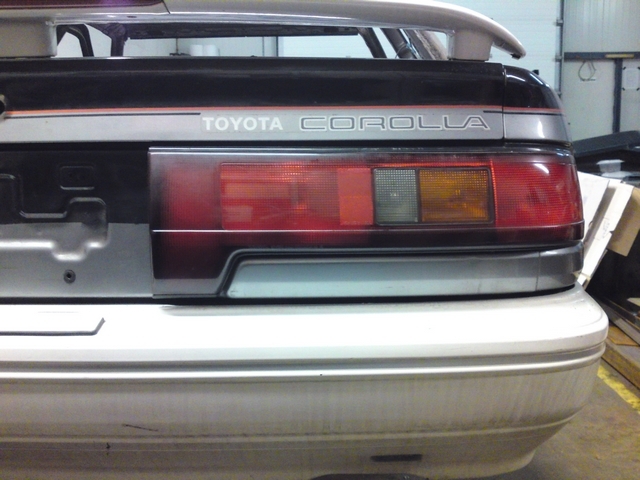 Like the lights of the Kouki Corolla Levin. 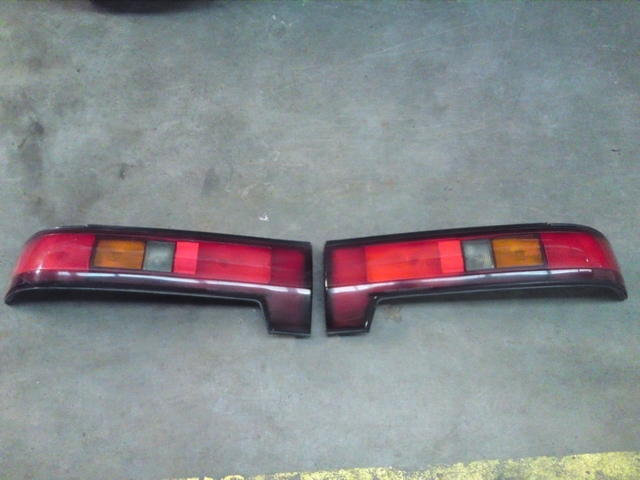 That used the same rear end as my car, but they have different lights that would probably look a whole lot better than the USDM ones. So I flew in a set together with the new rear spoiler. I fitted them to the car when I received them and that didn't look all that bad! But unfortunately for me, they got damaged during transport. And it turned out that the center section where the licensplate is screwed to was different, so I would need that too if I wanted to use these lights. But not seen after, I found a complete set in excellent condition in New Zealand. So I flew those in too as I was not planning on installing damaged parts to the car. New bumper, lights and spoiler. That rear end looks so much better now! 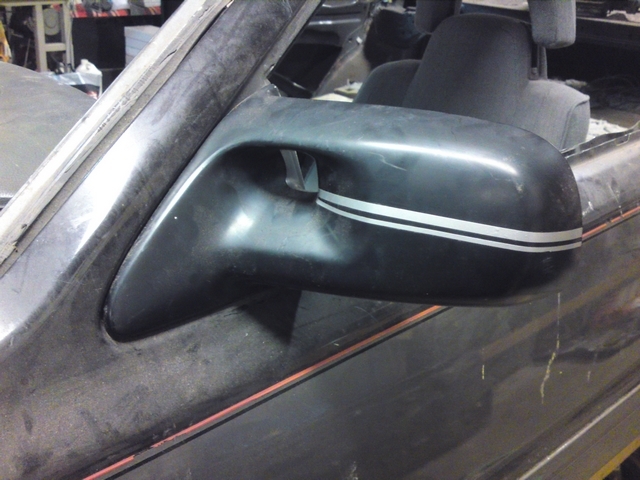 The USDM cars use door mirrors that were only used in the States. They were rigid and couldn't fold back. And I didn't really liked the look of them. They were a little crude and didn't really fit the car if you asked me. So they would have to go. The Japanese mirrors look way better and complement the lines of the car a lot better. So I started looking for a nice set in the land of the rising sun. The nice thing about Japanese mirrors is that Japanese cars practically always came with power folding mirrors as standard (little room to park over there etc.). But to make that work, I would need some additional parts, like the controls with the 'fold' button and the mirror relay. 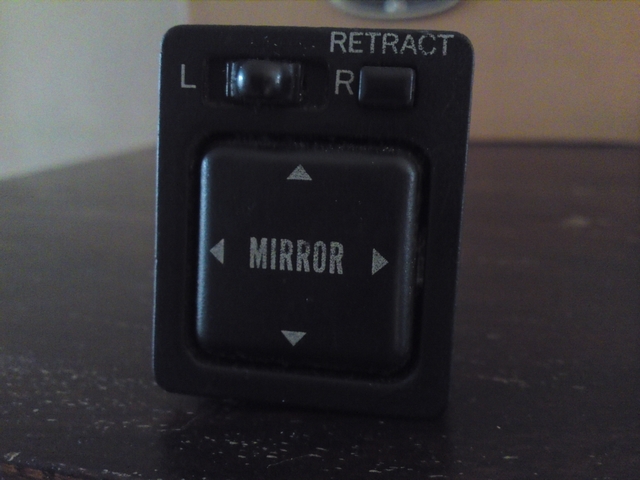 A managed to find a relay in Japan as well, but the mirror controls were a lot harder to find. But after some research, it turns out that the Toyota Previa uses the exact same controls for the mirrors which broadened my search a bit. 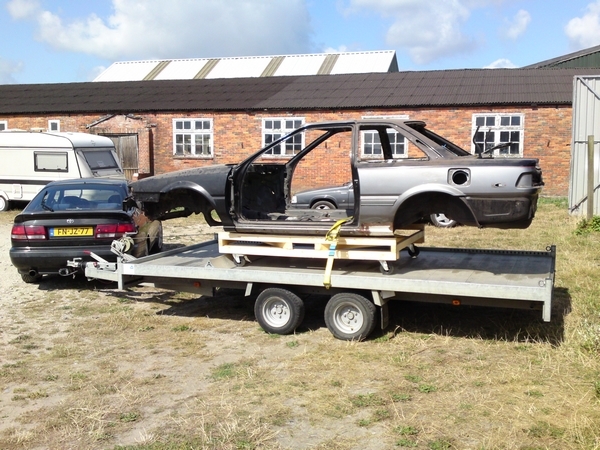 A lot closer to home, I found one on British E-bay that came from a Previa. 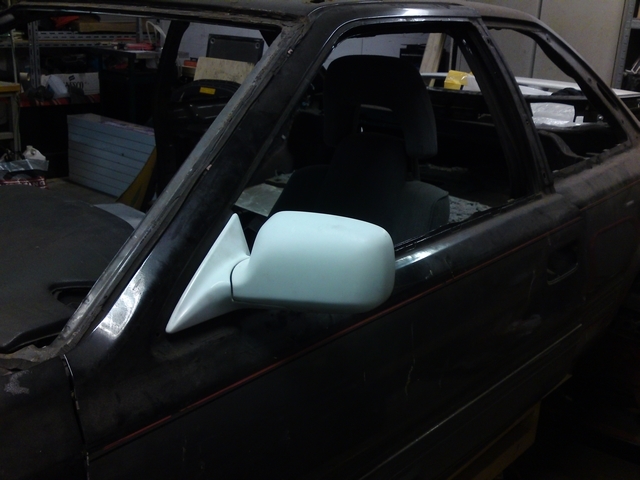 The controls for the mirrors with the additional push button for retracting the folding mirrors. 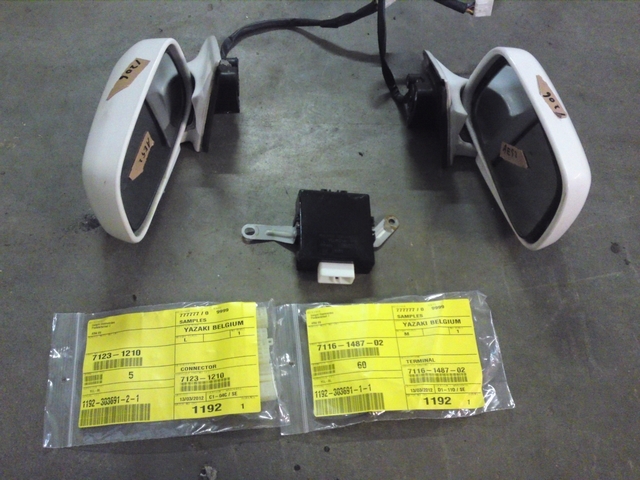 And not soon after, the package from Japan arrived with the electrically adjustable, heated and folding mirrors. And the relay to get them to work. That looks a whole lot better if you ask me.